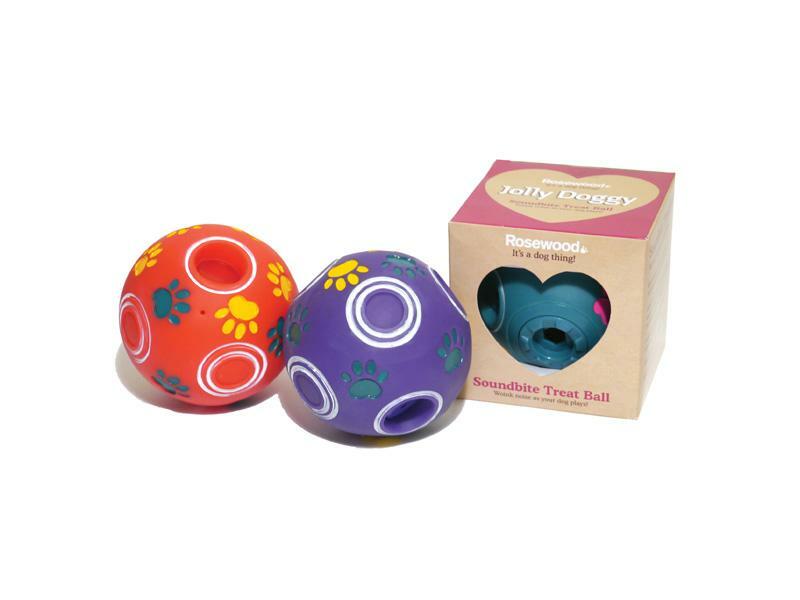 Rosewood Soundbites Paw Print Treat Ball is an exciting toy which will give your dog hours of fun and healthy exercise. It is essential to keep your dog's mind and body active, which you can now do while giving them treats in the process. The Soundbites Paw Print Treat Ball has an adjustable access hole, is easy to clean and giggles when rolled to keep your dog's attention on the ball. Supplied in randomly allocated colours. There are currently no questions for Rosewood Soundbites Paw Print Treat Ball Dog Toy - be the first to ask one!